The Worldwide Automotive Lubricants Market is estimated to grow at a CAGR of 4.2% between 2018 and 2026. The automotive lubricant segment is a very dynamic sector of the lubricant industry. The increasing sales of vehicles worldwide especially in the developing economies are expected to drive demand for automotive lubricants market over the forecast period. The decline in crude oil prices in the past few years has lowered the raw material of base oil prices by 30 to 40%. Along with this, prices of additives have also decreased by around 5%. The situation eased pressures of cost significantly, which helped the lubricant manufacturing companies to maintain around 30% to 15% expansion of gross margin during the period. The global lube sector is characterized by innovation, premiumization and brand building, that aids pricing power and gains in market share. Several new products have been introduced in the automotive lubricants market based on various largely homogenous specifications such as viscosity, even though branding helps to enhance customer preference. Moreover, customers especially in the developed nations have been value chasers seeking better economics such as pricing, long drain, distribution reach etc. These advantages associated with the dip in crude oil prices have helped in decrease in product prices which have in turned influenced the sales of these products. In 2013 and 2014, consumption of petrol and diesel slowed down a little, which is an important indicator for demand of automotive lubricants. Sales of new automobile and population growth of vehicles worldwide remained moderate. Moreover, the prologue of more efficient smaller vehicle engines, and several durable engine oils led to the lengthening of drain intervals, which resulted in a structural decrease in lube consumption per vehicle. This trend was otherwise particularly observed in the susceptible CV segment, where fleet operators and transporters are always quick to shift to value based and cheaper options available. However, since 2015 the scenario changed, and the sales of automobile lubricants increased with the market participants introducing new and highly enhanced products for attaining higher market share along with profit margins. The automotive lubricants market participants have used several marketing and sales techniques for boosting up their market shares owing to increasing number of manufactures in the industry space which have created a situation that is chital in terms of quality and product pricing. Companies in the market currently have been using three types of marketing strategies including new product makeovers and launches, advertising electronic and print media, and below the line activities that have involved important consumers and several other intermediaries such as retailers, distributors, mechanics, and drivers. These types of active participation of the market participants have shown positive influence in building their brands strong portfolio and sales of these products have hence increased significantly in the past two years compared to a five-year historic sales figures. 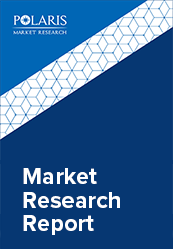 The Asia Pacific regional automotive lubricants market is anticipated to be the largest consumer of automotive lubricants in terms of both revenue and volume. The shift in the automobile manufacturing industry from the west to the Asia Pacific region has been the primary factor for driving its regional market. However, the business to consumer sales market in many countries in the region is yet to attain its full potential and organized. The North American automotive lubricants market has also been a significant contributor to the global demand of these products. Increasing automobile manufacturing in Mexico have been one of the primary factors driving the regional industry. The few of the leading leading industry participants currently operating in a worldwide scale include Arabol Lubricants, Total Oil, BP, Indian Oil Corporation, Phillips 66 Lubricants, Bel-Ray Company LLC., Amsoil (Wisconsin), Bharat Petroleum, Morris Lubricants, Ultrachem Inc , Penrite Oil, Valvoline , Rock Valley Oil and Chemical Co., Peak Lubricants Pty Ltd , Lubrizol, Liqui Moly, Eni S.P.A. and Emulsichem Lubricants Pvt. Ltd.